ANKARA — Foreign suspects accused of killing three, including a police officer and a soldier in an attack at a security checkpoint in central Turkey last week were interrogated by Turkish prosecutors. Their testimony claims the slain officers were "infidels" and media reports on the background of the suspects indicate a connection to the Islamic State of Iraq and the Levant (ISIL) in the attack. Çendrim Ramadani, Benjamin Xu and Muhammed Zakiri were captured by Turkish security forces after they shot a police officer, a military officer and a civilian dead at a checkpoint in the central Turkish province of Niğde last Thursday. The two suspects injured in the shootout with security forces were taken into custody after their treatment at a hospital in the capital Ankara.They, along with the third suspect, Macedonian national Muhammed Zakiri, who was captured one day after the attack at a mosque where he was hiding, were interrogated by prosecutors. They face charges of murdering public officials and smuggling firearms. 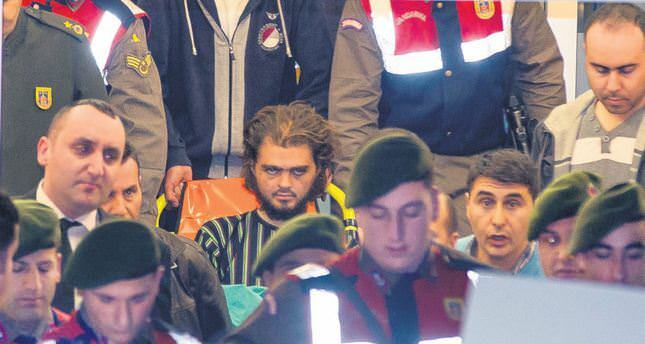 The suspects of Albanian and Kosovar origin, entered Turkey through the Syrian border. The suspects were travelling from Hatay, the Turkish province on the Syrian border, to Istanbul when they were stopped at a checkpoint. They fired shots at the officers at the checkpoint, killing military officer Adil Kozanoğlu and policeman Adem Çoban. They also killed a driver whose truck they hijacked to flee the scene. In their initial interrogation, Benjamin Xu said he was a German citizen with a Chinese mother and resided in Berlin. Ramadani said he was a Swiss citizen. According to reports in the Turkish media, Ramadani, in a rhetoric commonly used by al-Qaeda militants, told the prosecutor, "I will not testify to you. Only Allah may judge me. You are mushrik (polytheist). I committed a good deed by killing that soldier." Ramadani refused to recognize the authority of the prosecutor and did not sign the document containing his testimony. Benjamin Xu told the prosecutor they were returning home after fighting in Syria. "I don't know Ramadani well. He offered to travel to Kosovo with me and I accepted. I wasn't aware of any weapons. I later found out he secretly placed weapons in my bag. When he saw the soldiers at the checkpoint, he drew his gun and started firing. He also shot me in the foot during the shooting and said it was an accident. I don't remember what happened next because I had taken drugs," Xu said. Xu said he was not a member of any terrorist organization and pleaded for his release. Turkey, a staunch critic of the Assad regime and host of the Syrian opposition, is accused of arming and helping ISIL militants in Syria. The government denies all such allegations. ISIL, which gained the upper hand against rebels of the Free Syrian Army (FSA) in some parts of Syria threatened Turkey last week. The splinter group of al-Qaeda surrounded a Turkish enclave where Turkish soldiers are deployed and gave the country a three-day-deadline to withdraw forces. People, particularly teenagers from European countries are recruited by ISIL to fight in Syria although the group's fighting focuses on clashes with the Free Syrian Army instead of the Assad regime against which it originally declared war. Six people were captured in the southern Turkish province of Kilis bordering with Syria two weeks ago as they attempted to cross into Syria to join ISIL.